The people of Khyber-Pakhtunkhwa showed the door to the chiefs of six mainstream political parties. 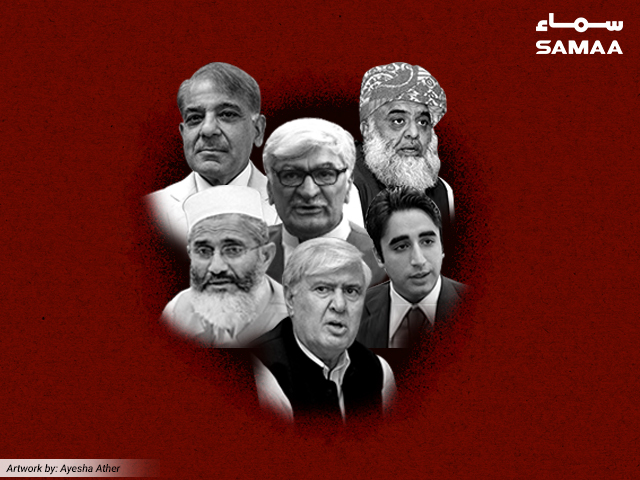 PPP Chairperson Bilawal Bhutto Zardari, PML-N President Shehbaz Sharif, MMA President Maulana Fazlur Rehman, JI Ameer Sirajul Haq, ANP chief Asfandyar Wali Khan and Qaumi Watan Party Chairperson Aftab Sherpao suffered a major setback in the northwestern province as people chose to vote against them. Voters say that all these leaders would vacate their Khyber-Pakhtunkhwa seats and prefer retaining seats in their hometown constituencies. Wali was facing Maulana Gohar Shah of the MMA and PTI’s Fazal Mohammad Khan in NA-24. He had lost to Maulana Gohar Shah in the 2013 election. This time, he has lost the seat to PTI’s Fazal Mohammad Khan. Similarly, Shehbaz suffered defeat at the hands of PTI’s Saleemur Rehman in Swat’s NA-3. The MMA had withdrawn its candidate, Maulana Hujjatullah, in favour of the PML-N president. Hujjatullah refused to leave his candidacy and contested as an independent candidate. In Malakand’s NA-8, the PPP’s young chief lost in his first election and defeated by the PTI’s Junaid Akbar. Malakand was once a PPP stronghold. The number of national and provincial assembly seats of the party has fallen in the area over the past few years. PTI’s Yaqoob Sheikh defeated MMA chief Rehman in his hometown of Dera Ismail Khan. Similarly, PTI’s Bashir Khan won against JI chief Haq in his native Lower Dir district. Upper Dir and Lower Dir districts have had been JI strongholds for a long time. Haq has served as a senator and twice as a senior minister in the Khyber-Pakhtunkhwa government. In Charsadda’s NA-23, Qaumi Watan Party’s Sherpao has been winning since 1988. He has served the provincial chief minister as well as a member of the federal cabinet in the past but this year, the PTI’s Anwar Taj defeated him.